There I said it! There are days where my introversion tries to take over or the left over girlhood remarks like “Child Please”, “Girl, Bye!” and “Honey Boom” try to creep up my esophagus and out of my mouth. There are time I want to state my case to clear the air knowing clearing my air will dirty someone else’s. 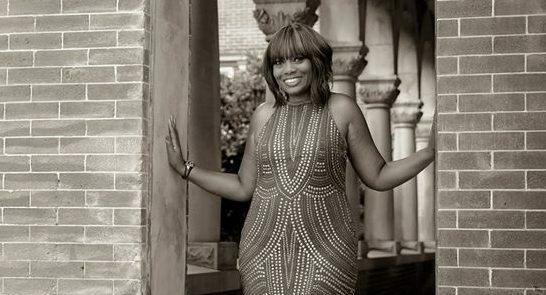 There are times I want to take my “vocal” friends up on their request to help me fight my battles but I can’t. I must be nice, especially when I don’t want to. Why? Because orange is NOT my new black, boo! I can’t afford to spend any time behind any bars paying the price because I let someone else’s feelings take me too far. 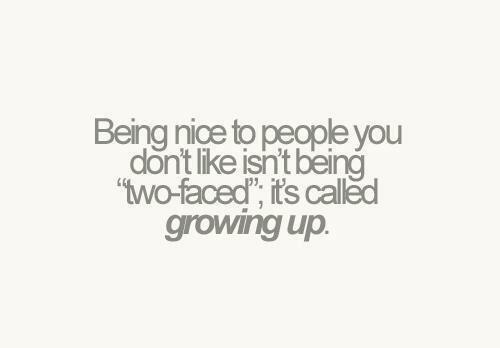 So, sometimes I don’t want to be nice, but I have to muster up the maturity to be that and more. It becomes comical often, when I’m faced with certain situations where I want to react based off of another’s actions. But it’s like an internal alarm goes off alerting me that this is only a test, a test of my niceness. Some people are concerned with their “gansta” being tested. Nope, not me. 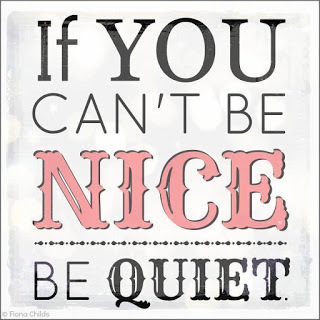 Don’t test my niceness…LOL! I’m not saying being nice is at all easy. It’s not. It’s hard as the dickens! I’m not saying I always get being nice right. I don’t. I’m human. I’m not saying being nice always fixes the situation. It doesn’t. It fixes me. I’m not even saying I’m always nice even when I know I need to be. I’m not. 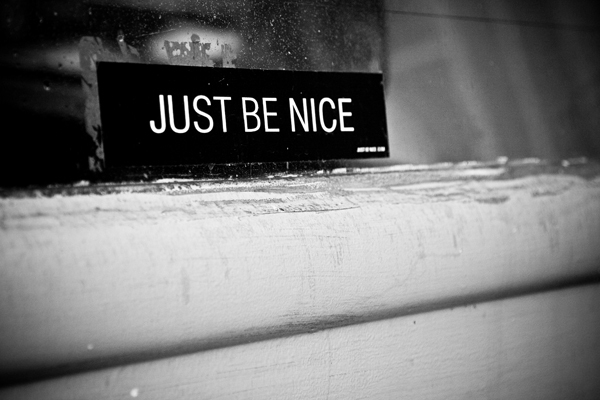 But being nice is necessary so I must do what’s necessary to be nice, even and especially when I don’t want to. This entry was posted in Career, Encouragement, Family, Friendship, Life, Past hurts, Randomly on Purpose and tagged enemies, friendships, Relationships. Bookmark the permalink.